Panoramic view of the ridge from Reichspitze to Schlenkerspitze from the west. The steep southern limb of the Muttekopf syncline, center right, is affected by several angular unconformities, partly related to northward tilting. 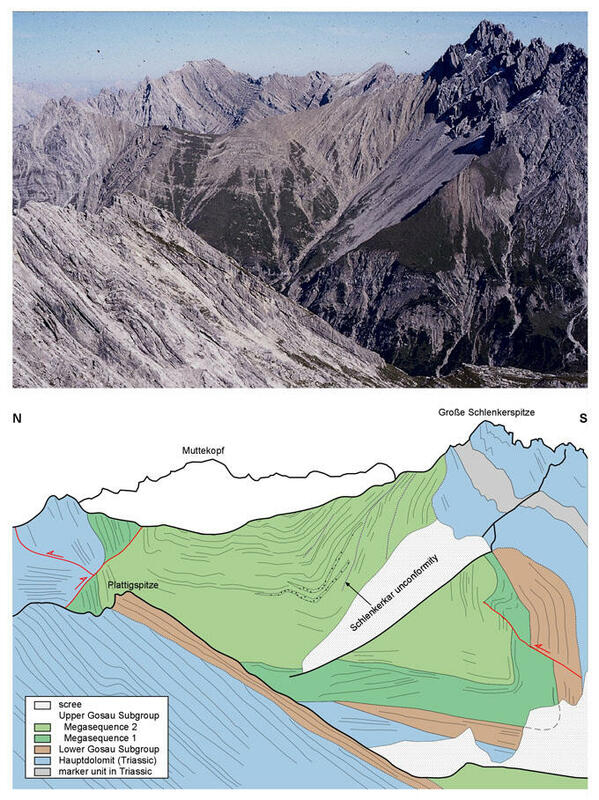 The angular unconformity in the foreground below Plattigspitze shows south-directed tilting of the northern flat limb of the Muttekopf syncline. Click the image for a closer view of the Schlenkerkar unconformity.